- I know I've got Star Wars Weekends and all here in Orlando, but I think the grass will always be greener at Disneyland. Check out this massive photo post of their new parade, video of the brand new Little Mermaid ride, and lots more. My favorite pic of the new parade. Yay, Abu! BRILLIANT! Hit the link above for the step-by-step tutorial. It's bigger on the inside!! - And finally, watch this video. It will make your whole weekend. Happy Friday, everyone! Have a great weekend! The best place to find those posters is on the Mondotees blog. I just picked up (luckily!) the Mickey's Service Station Poster today. They have all sorts of amazing posters that go fast! That iris card is awesome! I sent it to my brother and his wife for their baby-to-be...maybe they'll use it for their announcements! I also want to take that giant Simba from the parade home...is that normal? And, of course, the gorgeous Mary Poppins carousel horses. That parade looks amazing. Time to go to DL again! Have a great M-Day weekend everyone! WV: Stedizi. To be said in a French accent: Stedizi she goes! Remember the hell of multiple windows before tabs? I just counted & I'm currently at 19. That's just sad. If I tried to pick my fave part of this post my head would explode! That video is too cute! Cuteness overload, I daresay. Thanks for the cool links, Jen. I always seem to have 10 tabs open at once, and hate it if/when my browser decides to close on me. Oh wow, those Mary Poppins carousel horse tricycles made my jaw drop! Awwwwww! I saw a link to the Hugging Cat on They Might Be Giants' FaceBook and I forgot to watch it, but now I did! Yay! Also, Tardis girl rocks. :D and those business cards are awesome. Oh em gee. That cat video is all over Facebook today, and I was kind of meh about it, but then I watched it. And then I immediately DIED of the cute. His widdle PAWS! And the HUG! And then his widdle MOUF!!!! Can. Not. STAND. The. Adorableness. Thanks for sharing! Happy weekend! You were right. The video made my weekend. Disneyland may get the new parade, but Disney World always has the better character meet and greets! I'm torn because I'm working at Disney World currently, but Disneyland will always be my home park. 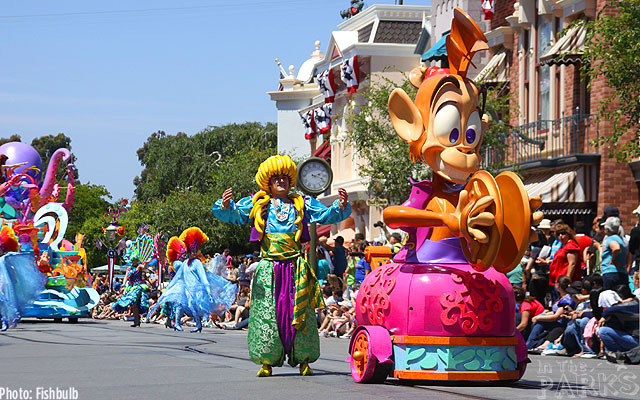 I have to wait until August to see the new parade :( But it has a Mary Poppins float, which is so exciting!! You gotta get on Pinterest, Jen! I used to have a million tabs and and bookmarked pages, now I just pin stuff to my boards. I cooed for a minute without pause. Those posters are wickedly cool. I'm in awe of the tardis costume. And, that video made me melt. That last video circulated on my FB page all day yesterday, at least 5 of my friends posted it!! JHill, I'm going to need that pinterest, I have something like 150 things in my bookmarks! That business card is pretty sweet. That's pretty fun. I work at a thrift store and always see those expandable folders. May have to grab some. OMG I JUST DIED!!!!!!!!!! That is definitely the cutest video EVER! It makes me miss the days when my cat would fall asleep in my lap and start twitching in her sleep. Thank you. I needed that cat video today! 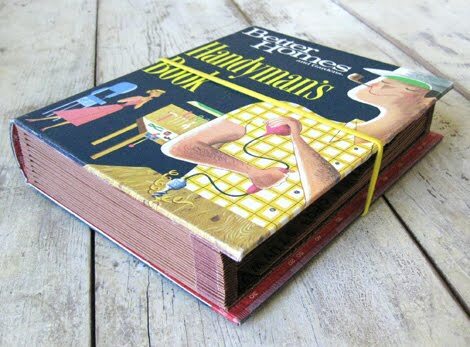 I don't have any pictures, but my mom and I, over a couple days one summer in college, made purses out of hardback book covers, like the expanding file. it was fun and they turned out really pretty. There are all sorts of tutorials on different print related topics like how to frame prints DIY or how to store prints when you don't intend to frame them. I found your mondo print, but it currently sells for well above what it sold for when it dropped. I just saw these on Etsy and thought of you! I think I have favorited half of the items in their shop! I hope that link worked right. I had to watch that Mom Cat video several times! That was the sweetest thing ever! Awww, thanks for sharing the cat video! We're fostering kittens right now and that's making me hope to see some adorableness up-close! Wow! 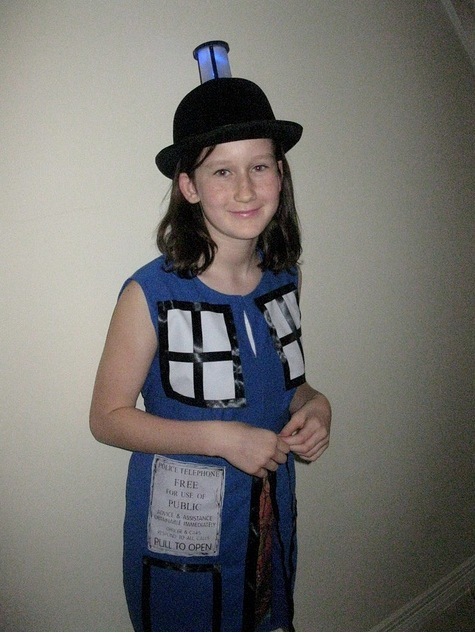 Thank you for featuring my daughter in her Tardis costume. She is a huge fan of your other blog. She was a little overwhelmed when she saw her face on Epbot. You absolutely made her day. Thank you. 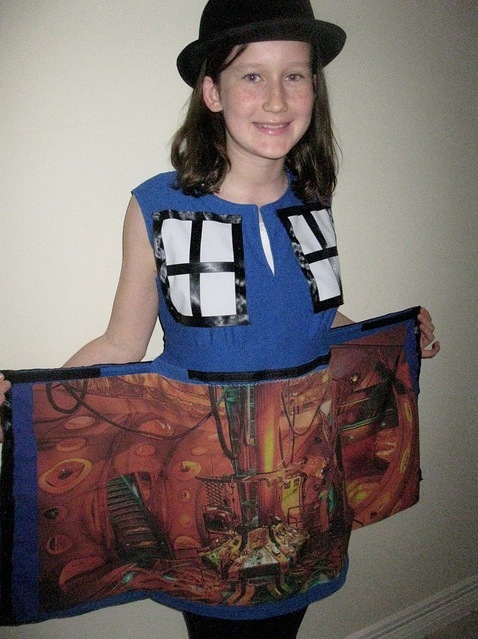 Fun fact: I'd seen a picture of that TARDIS dress on another blog, and the one she based it off of was actually originally made by one of my really good friends! I showed my friend the pic, and she thought it was pretty cool.